Medium amber color. Nutty aromas and flavors of butter roasted peanuts, cherry-peach pastry, root beer float with coffee-banana ice cream, and sandalwood soap with a supple, vibrant, fruity full body and a warming, elegant, very long finish that exhibits notes of vanilla toffee, brown and peppery spices, and cola finish. A flavor-packed, thrusting, in-your-face bourbon that hits the senses like a velvet brick. 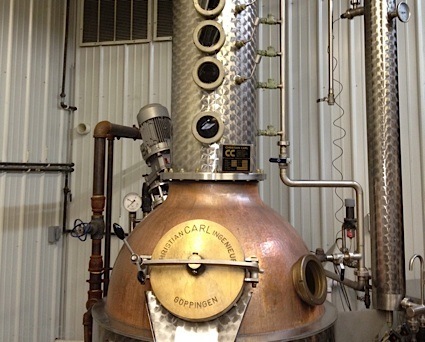 Bottom Line: A flavor-packed, thrusting, in-your-face bourbon that hits the senses like a velvet brick. 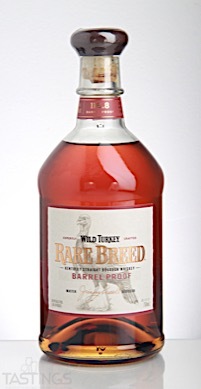 Wild Turkey Rare Breed Kentucky Straight Bourbon Whiskey rating was calculated by tastings.com to be 95 points out of 100 on 8/31/2017. Please note that MSRP may have changed since the date of our review.